Leonard S. Lauro of Walton, N.Y., formerly of Mariners Harbor, died peacefully at his Walton, N.Y., home on Monday, July 25, 2016. Raised in Mariners Harbor, Lenny was a graduate of Port Richmond High School and attended Staten Island Community College before entering the Army.He was stationed at Stuttgart, Germany, with the 82nd Army Band as a trumpet player. After his service in the Army, Lenny enrolled in the Berklee School of Music in Boston and then was employed at Willowbrook State School as a Music therapist with the residents. After his employment at Willowbrook, Lenny became a private music instructor. In 1996 he relocated to Walton, N.Y., when he taught and performed music throughout the area. 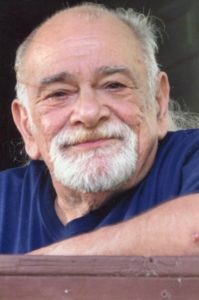 Lenny is survived by his brother, Richard and his wife, Joyce Lauro; his former wife, Georgia Bistola. He was predeceased by his parents, Leo and Adeline Lauro. Funeral service will be conducted from the Cherubini McInerney Funeral Home, formerly Meislohn-Silvie Funeral Home, 1289 Forest Ave., Staten Island, N.Y. 10302. Friends will be received on Friday from 2 to 4 and 7 to 9 p.m. Mass will be held on Saturday at 9:30 a.m. at St. Clements Church, followed by a burial at St. Peters Cemetery.